Auto finance leads categorized in many sub categories such as subprime leads, special finance lead, to get best ROI and highest sales conversion dealers must try buying leads variably from all categories. Again finding the best auto finance lead vendor or lead provider is not that easy because of some many competitions in the lead generation industry it is definitely not an easy thing for any dealer to find the best lead provider. To let you know and help you find the best vendor here we are in your service. We are called 50 State Auto Loan, We have been in the lead generation industry since quite a few years and have best experience so far in generating the quality auto finance lead in any category special finance lead, and subprime leads any kind you ask for we have it. We are partnered with high quality lead providers and generate half of our total leads ourselves and has best quality analysis on each and every lead we generate either in-house or generated via third party it always gone through as scanning procedure. Each and every steps of QA is taken care but in-house quality analyst to ensure the quality of the lead so all our buyer could have satisfying result on the auto loan lead they buy from us. You can run after searching for quality auto loan leads but we bet you we have the best auto finance lead available which not only give you highest closing ratio but it also have competitive pricing we offer our leads for $ 12 not matter what income we have on the leads all leads will come to you in real time and delivered exclusively. We even have compensating return ratio on the lead which will be nothing when you look at yourself or your dealer making money by closing highly on our leads. We want to see the smile on your face every time when you close a sale we just want to see you happy with the business partnering we have with you and to see you making highest return on your investment. It is just one click away visit us on www.50stateautoloan.com and see the result yourselves. We want you to experience our lead quality right away after you sign up with us. Are you looking for Subprime Auto Finance Leads? But cannot find the best subprime leads. Here we have the best subprime leads available. At 50 State Auto Loan, We drive traffic of about 15k subprime leads a month. Finding the quality lead provider is very difficult these days. But when you reach up to us we are happy to let you know that you are in good hands. Auto finance industry is growing these days and most of the dealers form across from nationwide is looking for more and more auto finance leads traffic in the zip code radius they cover. We are glad to inform you that we have the best traffic methods that can even specifically target zip codes of your coverage and get you some best auto loan leads possible. At 50 State Auto Loan we not only generate quality traffic we are up to mark to our business proposals with our dealers. You can ask for any state any zip code, we have it all. Generating quality leads and finding the best quality lead is getting tough now days but we keep all the best quality standards required to generate the quality auto finance leads. 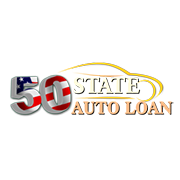 If you are a dealer and looking for best auto finance or subprime finance leads contact 50 State Auto Loan Today and see the result yourself as we guarantee highest Return on your Investment. We deliver leads to our buyers in real time which can help our dealer to contact the car buyer the instant they receive the auto loan request or auto loan lead. There are many companies that generate auto loan leads. But at 50 State Auto Loan we guarantee quality leads at the lowest price with no contract as such. Are you still confused of what to do pick your phone up and contact us today we 50 State Auto Loan is waiting to assist you and help your business grow and that is the part where we are really looking to earn your business for long-term do not hesitate to contact us anytime with your questions regarding our leads. We are looking forward for great business opportunities that can help both you as a dealer and us as a auto finance lead generator grow. Contact us today and find the best quality subprime leads which can turn you business into gold with highest return on your Investment…!! All dealers nationwide are looking for quality auto loan leads. Some dealers find the best leads that all because they spent more money on buying lead but some dealer end up with buying low quality lead that is all because they do not have the enough money to plan their monthly budget for buying leads. 50 State Auto Loan offers best quality auto loan leads, subprime sales lead, bad credit car sales lead, and this is at the cheapest price than anyone else in the auto finance lead generation industry has to offer. Are you a dealer or a third party buyer we welcome you to our new Special finance lead exchange platform with the cheapest lead price where you can by the best leads at lowest price? We generate leads from all 50 states and there is no bar for the zip code we can generate leads from any zip code for any dealer. Here at 50 State Auto Loan we provide an opportunity for car dealers to by the best leads possible with lowest monthly budget it is the best opportunity for small dealers to make highest return on investment and this is the right time to go for it as the car market is growing in US. We not only generate the leads but also verify the quality of each and every lead we generate so dealers do not have to spend more time on finding the best possible auto loan deal for the qualified car buyer. When we say we have the best lead we mean it.50 State Auto Loan has the best lead in the industry to offer at just $ 10 for any lead. Contact us today and sell more cars and generate more capital to expand your car dealership business like all other big players. Visit us at www.50stateautoloan.com and make highest ROI. Call us today and see the difference yourself. We do not have any contract or minimum order you can speak to us and make some best possible decision for the benefit of your business.